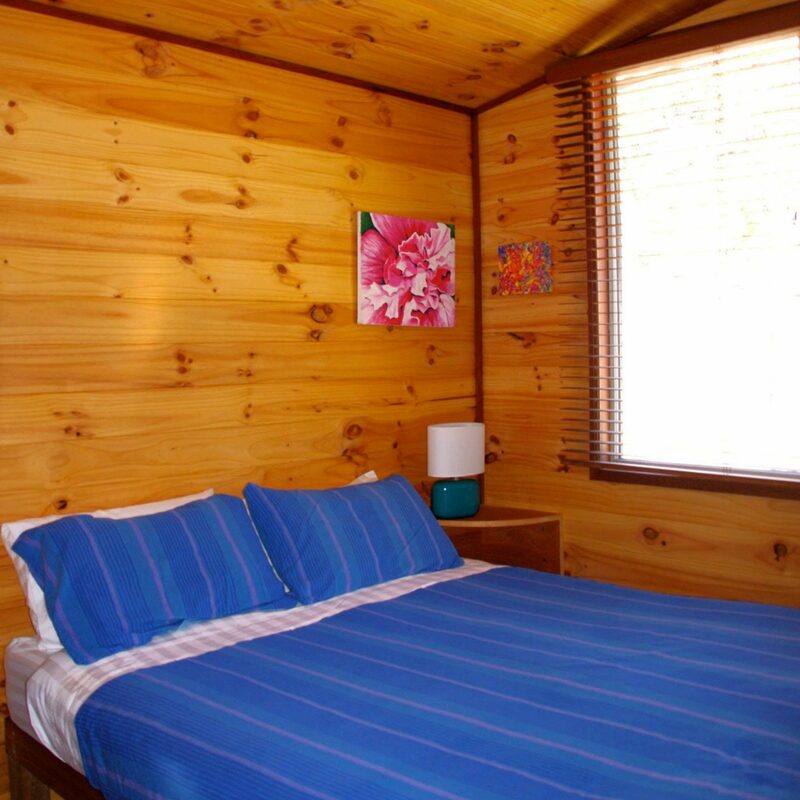 Wattle Bend Retreat is a self-contained and fully equipped eco-cabin situated on a large bush property 30 kilometres north-west of Glen Innes on the Severn River. The cabin sleeps up to five people in two bedrooms. Towels, linen and bedding are all supplied. Deck with view over the river. Undercover parking and barbecue. Picturesque picnic area with campfire and tables for your private use. Built by a painter and a lead-light artist, the cabin features stunning lead-light windows and lamps, original artwork and stylish furnishings. Wattle Bend Retreat is on 650 acres of bushland with abundant wildlife and over 100 native bird species. Historic ruins of an old Cobb&Co station are on the property. The cabin sleeps up to five people in two bedrooms (one queen plus one king or two singles and extra mattress). Towels, linen and bedding are all supplied. Kitchen with two-door fridge, microwave, gas stove. Wood fire (wood supplied), lounge with DVD/CD and small library. Bathroom with shower. Separate flush toilet. Deck with view over the river. Undercover parking and barbecue. Picturesque picnic area with campfire and tables for your private use.